The model 338 is a BB caliber semi automatic CO2 pistol. 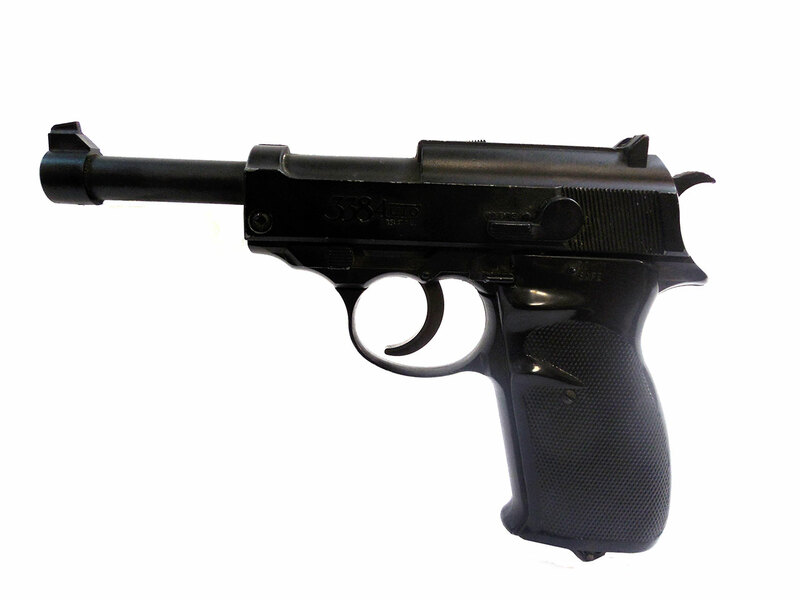 The 338 is a replica of the Walther P38 military pistol. 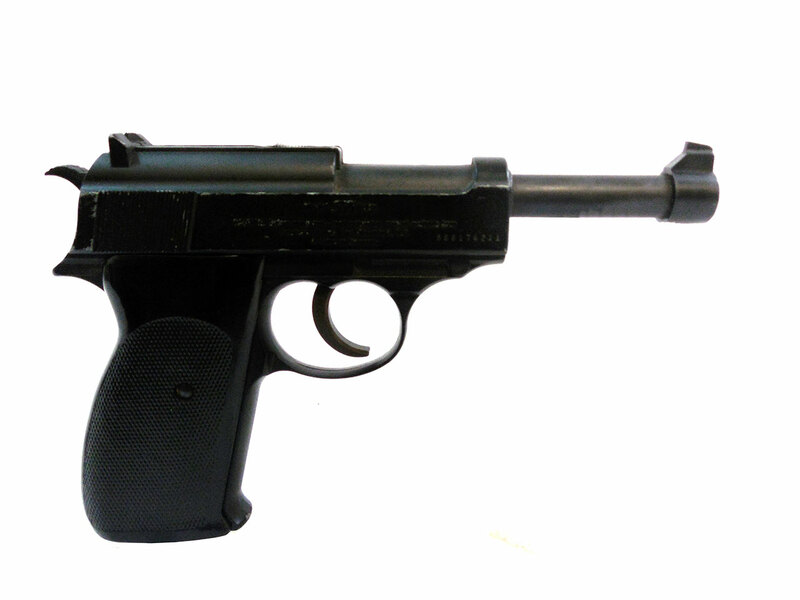 This pistol has a 20 shot magazine, and the gun itself is cast metal. This pistol does not work, and it may not have all of it original parts. 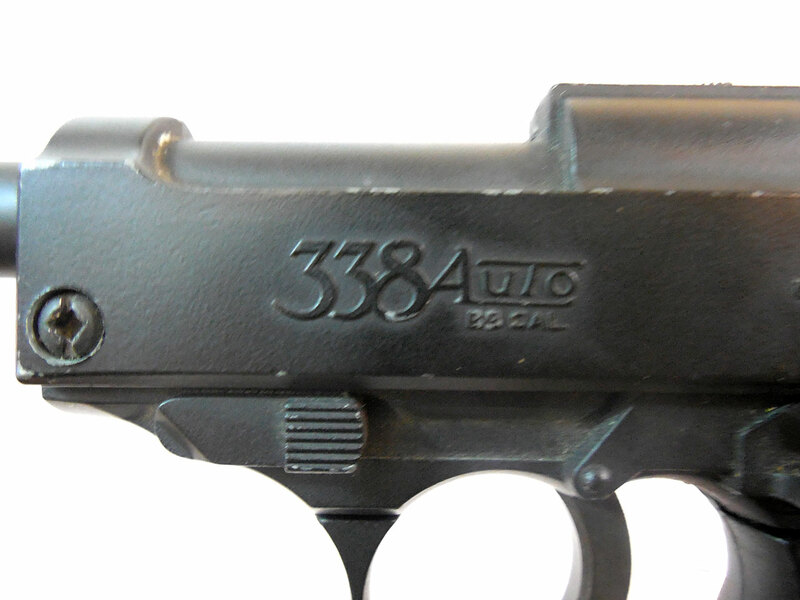 This 338 has 80% of its original finish, and its black plastic grips are in good condition.